Uber Technologies Inc. is set to announce a US$3.1 billion cash-and-share deal to acquire its Dubai-based rival Careem Networks FZ as early as this week, according to people with knowledge of the matter. The U.S. ride-hailing giant will pay US$1.4 billion in cash and US$1.7 billion in convertible notes for Careem, the people said, asking not to identified because the talks are private. The notes will be convertible into Uber shares at a price equal to US$55 per share, according to the term-sheet seen by Bloomberg. Uber spokesman Matt Kallman declined to comment, while a spokesman for Careem wasn’t immediately able to comment. Uber’s planned acquisition of Careem comes ahead of its imminent initial public offering, which could be one of the New York Stock Exchange’s biggest-ever listings. Uber is expected to publicly file for an IPO in April, kicking off a listing that could value the company at as much as $120 billion, people familiar with the plans have said previously. For Uber, a deal will signal its commitment to the Middle East, where one of its biggest investors -- Saudi Arabia’s sovereign wealth fund -- is based. 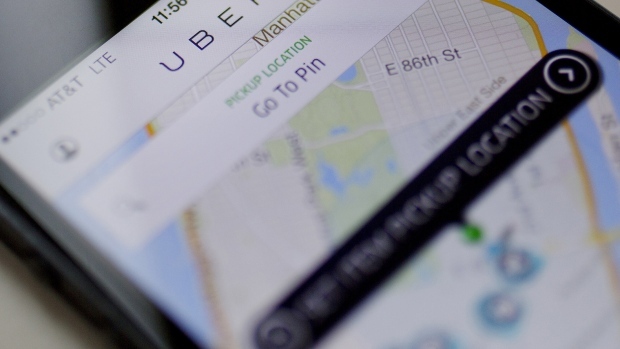 The acquisition would also be a departure in strategy for Uber, which in the past has used such deals to offload costly overseas operations in exchange for stakes in competitors. The acquisition will come as a welcome boost for the Middle East’s nascent technology startup market and follows Amazon.com Inc.’s acquisition of Dubai-based online retailer Souq.com for US$580 million in 2017. With Arab governments seeking to diversify their oil-based economies, young and tech-savvy entrepreneurs are starting new businesses and getting investors to back them. Careem was valued at about US$1 billion in a late 2016 funding round, making it one of the most valuable technology startups in the Middle East at the time. Its backers also include STV, the venture capital arm of Saudi Telecom. Co., Al Tayyar Travel Group Holding Co., and Daimler AG. Careem has expanded rapidly over the past few years, now having over a million drivers and operating in more than 90 cities in 15 countries, according to its website. It has also branched out into food and package deliveries, bus services, scheduled rides and credit transfers -- in several instances launching services ahead of Uber.